TEMPO.CO, Jakarta - Jakarta Governor Anies Baswedan has again demanded Gerindra and PKS parties to decide the deputy governor as the replacement of Sandiaga Uno. It was the third request Anies had made since Sandiaga resigned to be a vice presidential candidate. Anies did not set the requirement for his future companion. 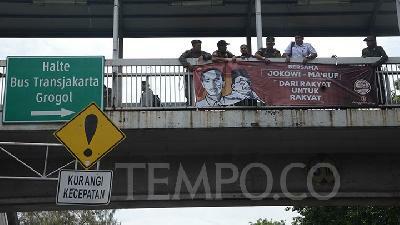 “I’ll wait for the parties [to decide it],“ said Anies Baswedan on Monday, October 8. The governor addressed the request as he was troubled to attend several agenda, especially events held outside the City Hall, while for internal agenda, the former Minister of Education did not have any complaint. “We have deputies, assistants, so there is no problem in the internal works for the city administration. And every decision and signs are on the hand of the governor,” he added. However, Anies Baswedan admitted having hassled to present in external meetings, particularly those held by ministries or related institutions because the invitation could not be represented by his subordinates. Up to today, PKS and Gerindra parties have not yet decided who will accompany Anies Baswedan to lead the capital city. 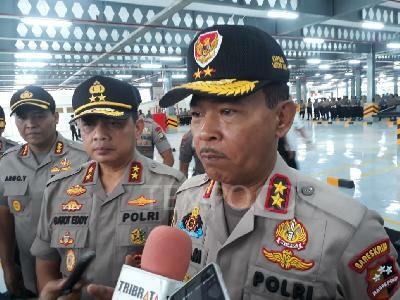 PKS had proposed two names Ahmad Syaikhu and Agung Yulianto, while Gerindra Jakarta supported its chief Muhammad Taufik as the replacement of Sandiaga Uno.